How the information is used and with whom the information may be shared. The kind of security procedures that are in place to protect your information. 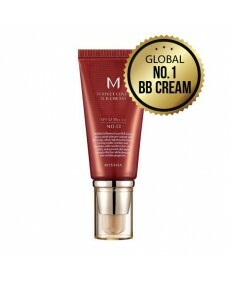 MISSHA NZ is the sole owner of the information collected on this site. We will not sell or rent this information to other third parties, however some of your information may be shared for the purpose of processing and delivering your order. MISSHA NZ collects information from our users at several different points on our website. Your billing and shipping address. The type of credit card you are using. Your credit card number and expiration date. Your email address is your member identification. You choose your own password to access your account. If you forget your password you can request a new password be sent to your email address. For Hygiene and safety reasons, we are unable to offer refunds or returns on any products, unless a product has arrived broken or faulty. Please choose your products and shades carefully when ordering. If your item arrives broken or faulty, please contact within 7 days of purchase. We will offer the option of a full refund or replacement if the item has arrived faulty. Unfortunately we can not guarantee a refund of the cost of posting your items back to us but may offer this at our discretion. Refund or replace of items must be returned within 10 days of purchase. Please keep all original packaging if there is an issue with your order. If you receive an incorrect item, please do not open or use it, we can not process return on used items. If you wish to cancel an order before it is shipped please email us. If we are able to catch it in time, we will issue a store credit for the value of the order. Unfortunately orders that are already with the Courier can not be cancelled. Please note also that colours are an indication only and often appear different between different computers and phones. The IP address from which you access the website. The type of browser and operating system you use to access our site. The addresses of pages from which you followed a link to our site. If a user wishes to subscribe to email newsletter, we ask for contact information including name, street address and email address to provide these communications. Subscribers are contacted by email with information about promotions and product releases. Out of respect for our users' privacy we provide a way to opt-out of these communications. 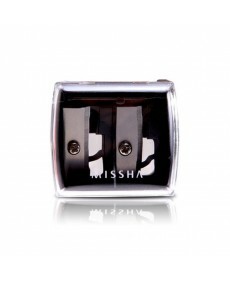 From time to time, our site or the MISSHA NZ site may request information from users via surveys or competitions. Participation is completely voluntary and the user therefore has a choice whether or not to disclose this information. Information requested may include contact information (such as name, address and email) or demographic information (such as postcode, age level). Contact information will be used to notify winners and award prizes. Survey information will be used for purposes of monitoring or improving the use and satisfaction of this site. If a user's personally identifiable information changes (such as your postcode, phone, email or postal address), or if a user no longer desires our services, we provide a way to correct, update or delete/deactivate that user's personally identifiable information. This can be done by logging in to your account and editing your profile or unsubscribing/deleting your account. If, however, we are going to use your personally identifiable information in a manner different from that stated at the time of collection we will notify you via email. You will have a choice as to whether or not we use your information in this different manner. However, if you have opted out of all communication with the site, or deleted/unsubscribed your account, then you will not be contacted, nor will your personal information be used in this new manner. In addition, if we make any material changes in our privacy practices that do not affect user information already stored in our database, we will post a prominent notice on our web site notifying users of the change. In some cases where we post a notice we will also email users notifying them of the changes in our privacy practices. Complaints will receive our prompt and personal attention and can be directed to us via our contact us.